Retired couples are no longer portrayed as two senior citizens rocking back and forth in rocking chairs on the front porch while the man naps and the woman knits. Retired couples are full of fun and zest for their newly acquired life as retired persons. 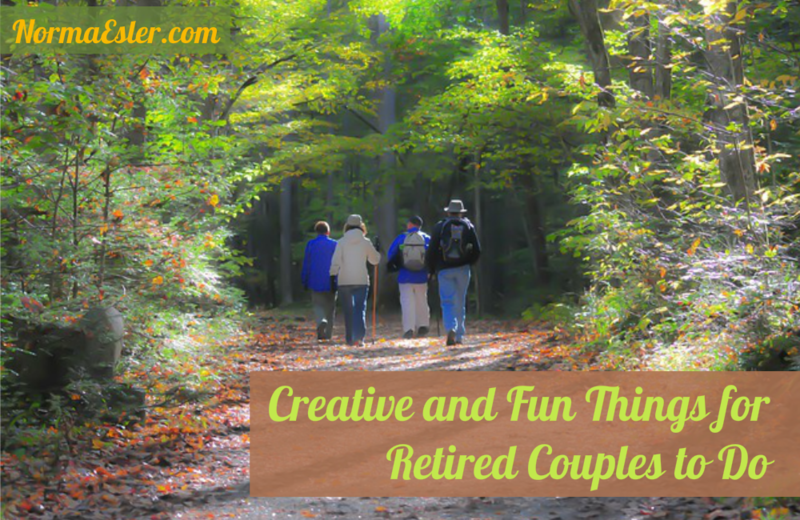 Here is a short list of some creative and fun things for retired couples to do. Hopefully, you have planned your finances successfully and maybe even downsized to a smaller home, condo, or townhouse, and you now have some flexibility financially as well as time-wise to travel and explore. Hiking – Hiking is a great way to keep physically fit, explore, go out on adventures, and meet new people with similar interests. Boating – If you have always wanted to live the boating life, now is a great time to try it out. Explore options for taking classes before you head out on the water so that you are familiar with safety and emergency precautions. Grab a group of friends and set sail for the day. Camping – If you felt that camping was too much work when raising your young family (too many things to pack along), now may be the perfect opportunity to investigate the great outdoors. Beaches – Becoming a beach bum as part of your retirement plan is a great way to just kick back and take in a much-deserved spell of rest and relaxation. Perhaps you have always wanted to be a “power” couple by volunteering, but the time never seemed to present itself. Now that you are a retired couple, however, you have the opportunity to become involved with many different things to help others. Workshops – You and your spouse can offer workshops giving advice and tips on how to retire successfully. Tutoring – Perhaps you and your spouse are able to offer tutoring in English or a foreign language to those struggling with language. Nursing Homes – Spending time in conversation or simply doing some light reading in a nursing home setting would provide an outlet for your time and a sense of fulfillment for both of you. Creative Endeavors – If you and your spouse have an artistic side, you can offer workshops for painting or creative writing. Take Dance Lessons – Learn how to swing dance or take Latin dance lessons. Learn How to Draw – Take art lessons together; learn how to paint. Write – Create a blog together about how great retirement really is. As a newly retired power couple, the possibilities are endless.